The Sir JJ School of Art was set up in 1857 as the Bombay School of Art & Industry, thanks to the vision and munificence of Sir Jamshetjee Jeejeebhoy. In the second half of the 19th century, architectural learning was integrated with an art education that followed the Beaux Arts School of sculptural ornament and architectural detailing. In 1913, one hundred years ago, architecture as a distinct discipline was recognized by the formation of a separate and independent Department of Architecture of the Sir JJ School of Art. Robert Cable was appointed as the first Professor of Architecture and headed the department until 1923. Cable, and his most distinguished successors, Professor Claude Batley (1923-43), Professor C. M. Master (1943-48) and Professor Solomon Reuben (1948-59) took the architectural department into a new modernist phase, making an impact on the city and the country at large with their own architectural practices, while educating several generations of architects who collectively transformed the city of Mumbai and gave a great reputation to the school as the finest architectural school in Asia. 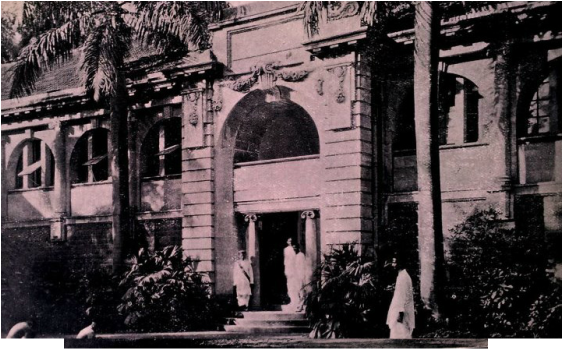 In 1952, the department of architecture became a department of the University of Mumbai, and the school became the Sir JJ College of Architecture. In the last hundred years, the college has consistently excelled and has enhanced its reputation by having some very distinguished alumni including architects Padmashri Achyut Kanvinde and Padmashri Balkrishna Doshi. Most appropriately, in this Centenary Year, Sir J.J. College of Architecture has been ranked the BEST architecture college in the country according to the independent 2013 Outlook-MDRA Poll (results of the annual survey published in the July 1st 2013 issue). Our college has consistently been ranked in the top 3 architecture colleges in the country ever since the survey began around four years ago, and this is the first time we have topped the list. The University of Mumbai has consistently supported our aims to architectural excellence through the last six decades.